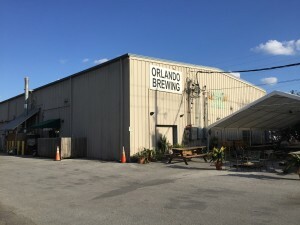 It seems fitting that the subject of the first Orlando Beer Blog post would be the brewery that bears the city’s name. 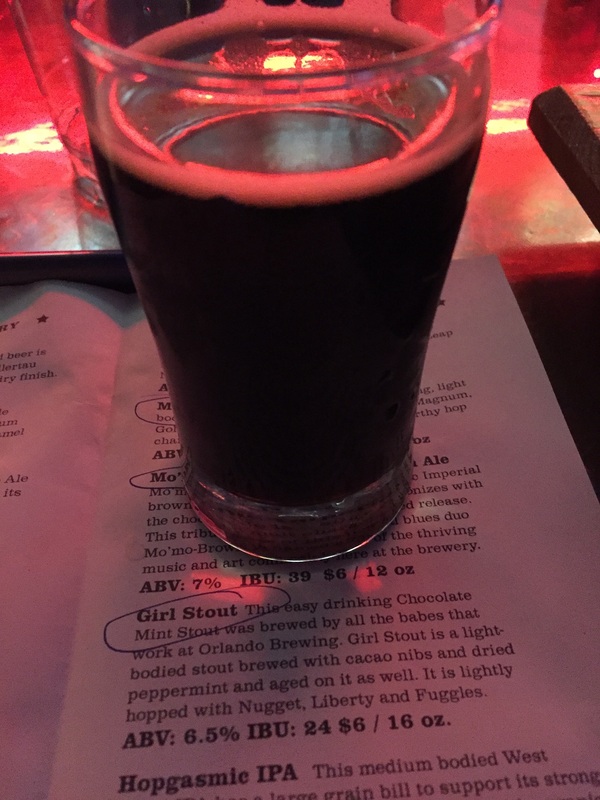 My girlfriend and I decided to check out Orlando Brewing Company on Atlanta Avenue and take the daily 6 p.m. tour and sample some suds. The building itself is a refurbished warehouse in an industrial section of town and isn’t much to look at from the outside. However, there is a spacious outdoor seating and smoking area with picnic tables and an old school bus that has been painted over (for decoration I guess?). 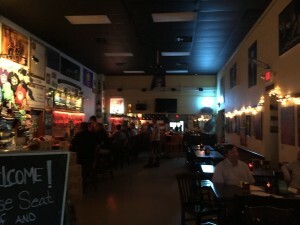 The taproom is actually pretty impressive. 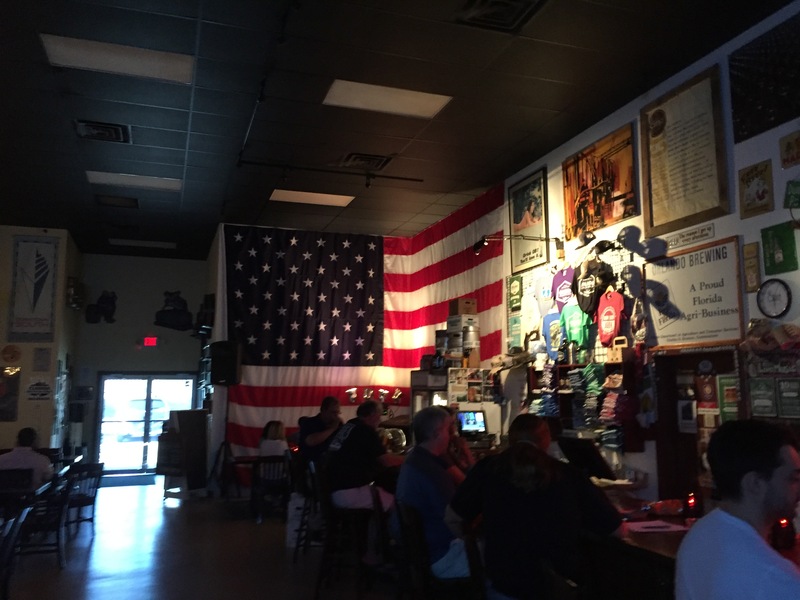 It looks like something you’d see in any downtown bar and club district: spacious with a high ceiling; dark with cool mood lighting; plenty of tables; a fairly large bar; some dartboards; and of course a selection of OBC merch. I’ve been to many breweries over the years and most taprooms tend to be rather sterile and corporate, so it’s nice to see a relaxed vibe for a change. I could see this being a nice watering hole for those that work in the vicinity, or a place to chill on a Friday or Saturday night away from the downtown crowd. 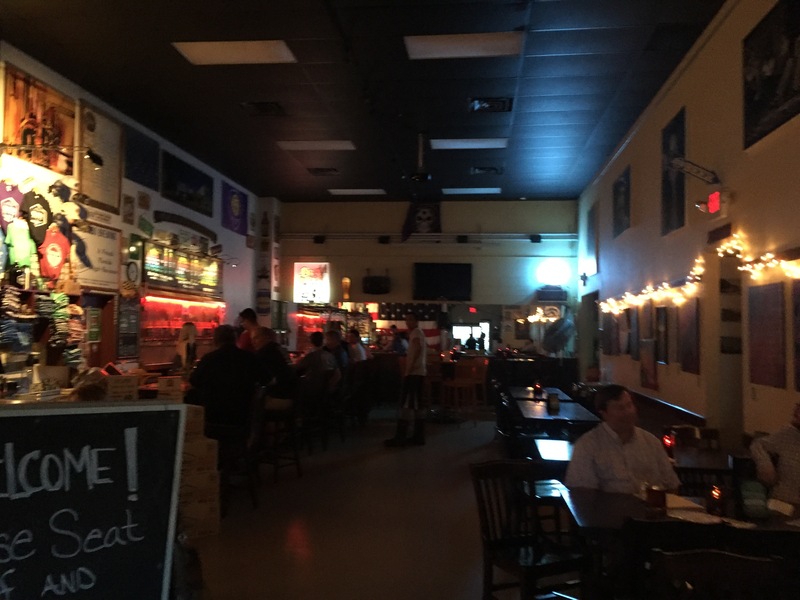 They do have live music and other typical bar events pretty regularly, which isn’t something you see at most brewery taprooms. As for the brewery itself, it’s rather small and cramped despite being only a 15 BBL system. The equipment definitely has a worn look, but I appreciate how the small scale makes it seem more “fine touch” than massive production breweries that range in size from 50-100 BBLs. Several of the beers they brew are bottled on site, though I-4 IPA and Right on Red bottles are contracted out to Florida Beer Company over in Cape Canaveral. 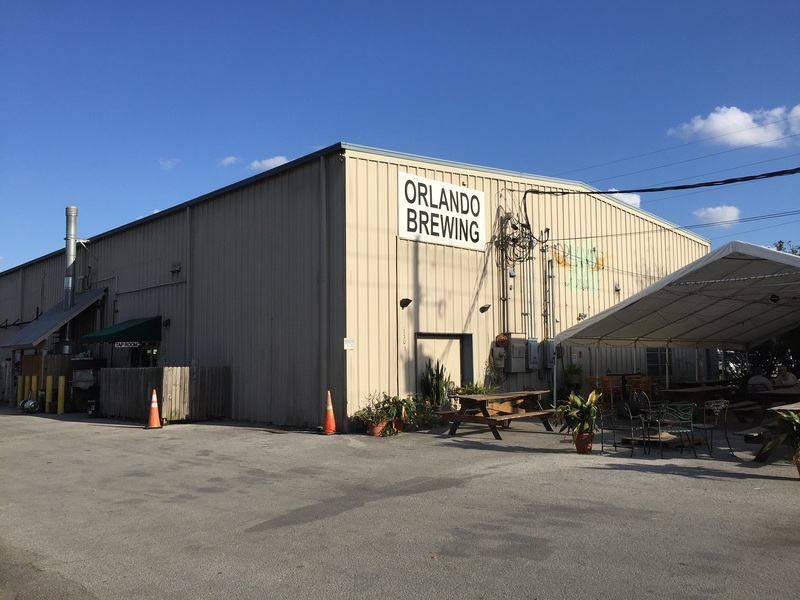 Orlando Brewing seems more interested in making kegged beer rather than bottled beer, and considering that they don’t pasteurize, that’s not a bad approach. Everything they make in-house is 100% certified organic which gives OBC a certain distinction as they’re the only organic brewery in all of Florida, and pretty much the only brewery of their kind in the entire Southeast. The tour guide was quick to boast about this fact and talk about the evils of nasty chemical pesticides and GMOs and how none of that is used in their beer [side note: there is absolutely no evidence that organic ingredients are any healthier or safer than non-organic; pesticide actually can be used to make “organic” foods; and GMOs are not the “Frankenfoods” dopey fear-mongers like the Food Babe have made them out to be]. Additionally, Orlando Brewing adheres to the German Purity Law of 1516, which means they use no adjuncts such as rice, corn or refined sugar in their beer or even flavoring adjuncts such as fruit and spices [another side note: the Reinheitsgebot was probably the world’s first piece of crony capitalist legislation and was originally intended to regulate bread production, not beer. Why American breweries feel the need to follow this outdated, unnecessary, and frankly dumb rule is beyond me]. 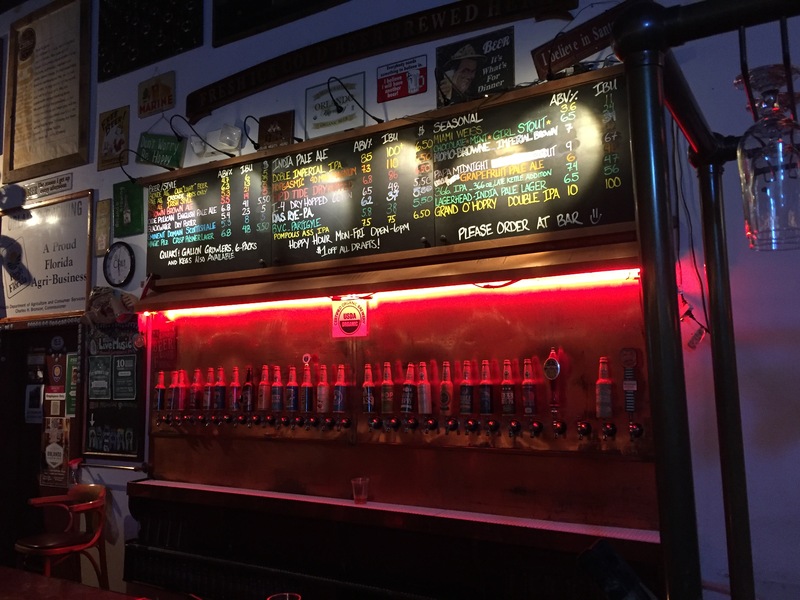 After we sampled those beers, we realized there were still about a dozen left to try. However, since we weren’t impressed with what we had we opted to get a mini flight of four 5oz pours for $8 ($0.40 per ounce). 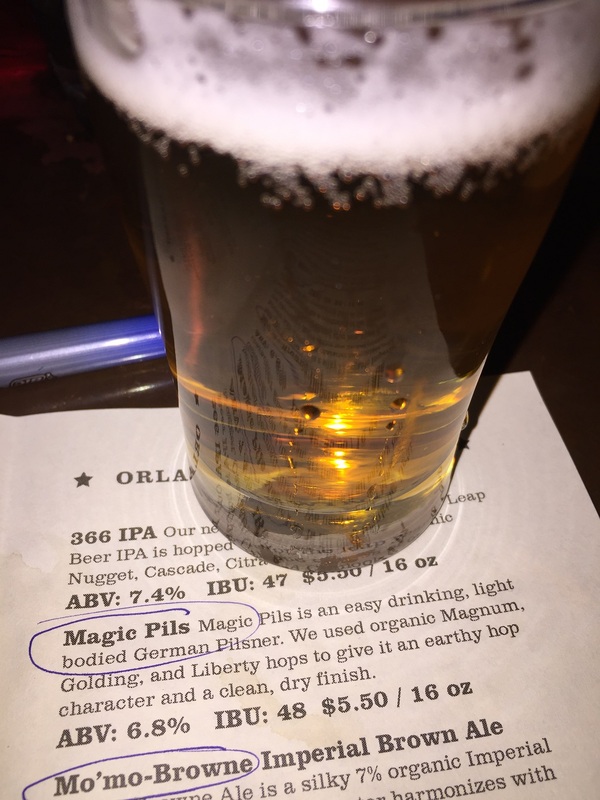 As you can probably tell, we weren’t too impressed with the quality of Orlando Brewing’s beers. My average score was about 2.81, which is not very good (anything less than 3.5 is pretty forgettable). I can’t say this came as a surprise, though. 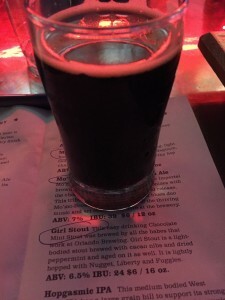 Having talked to friends, professional brewers, and other Orlando craft beer enthusiasts, I heard no praise for the brewery and plenty of disparaging remarks. 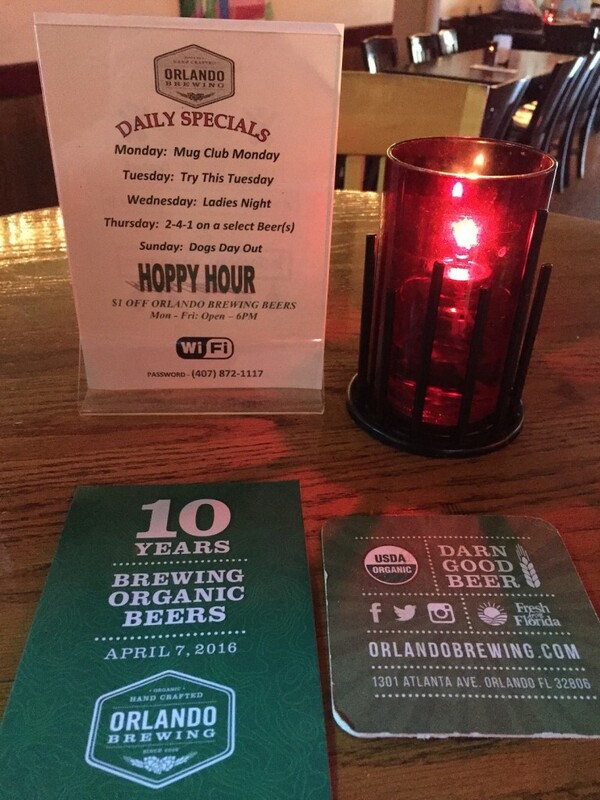 All that being said, I wouldn’t rule out another trip to the Orlando Brewing taproom (maybe we’ll come back for the 10th Anniversary Party on April 7th). 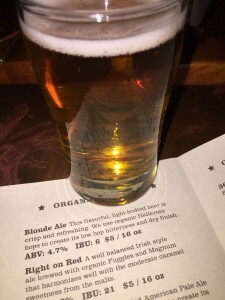 I would like to try the rest of the beers on their menu. Most of them seem to be bigger, more complex brews which tend to be “harder to screw up” than the lighter, more generic styles we sampled. 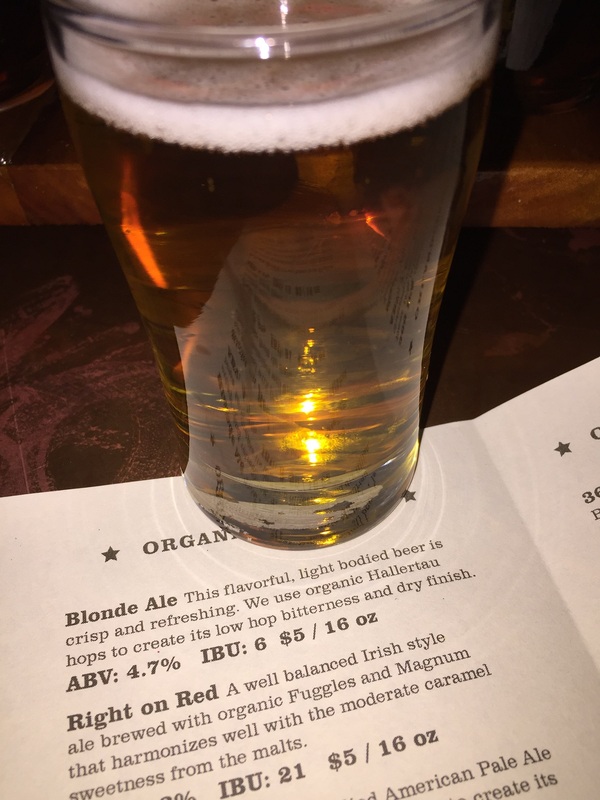 In fact, I would actually recommend OBC to acolytes and non-beer drinkers looking for something they can handle. 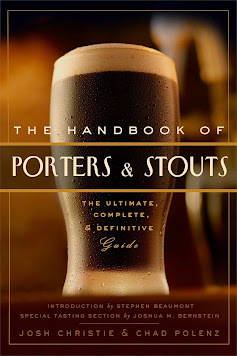 These beers are pretty mild and light-bodied which makes them incredibly drinker-friendly for those without a refined palate.